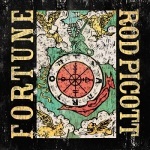 After reviewing Rod Picott’s seventh album, “Fortune”, I discovered that he was playing Green Note as part of the run-up to his Celtic Connections show with Kimmie Rhodes on January 25th. It was late notice, and the gig was sold out, but somehow I just managed to squeeze in and I’m really pleased that I did. I have a huge admiration for these artists, like Rod Picott, who travel from town to town and bare their souls on stage with only a guitar for protection. I particularly admire American artists who tour this way in the UK, where it’s sometimes impossible to tell if the audience like you or not. Slipping on to the stage unannounced, he set out the plan of action for the night; a bunch of songs from “Fortune” to open up with, then some older songs and maybe a few requests. He had a setlist prepared, but there was a suspicion that it wasn’t set in stone; it wasn’t. 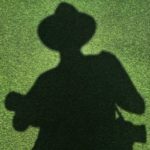 After the opening “Maybe That’s What it Takes” and “Elbow Grease”, it was obvious that the set would unfold in its own way regardless of any planning. 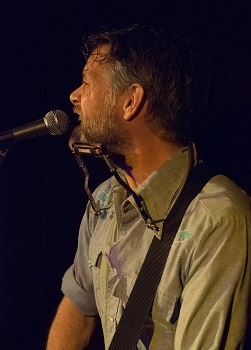 Rod’s economical (sometimes laconic) lyrical style and his powerfully emotional vocals work perfectly in this room, but his secret weapon is his engaging and self-deprecating manner as he spins out anecdotes between songs. Some are amusing, some are laugh-out-loud and some are poetic (he sums up perfectly the elemental nature of Howling Wolf with the words ‘he looks like he’s the weather’), but they all help to create an intimacy between the audience and performer. 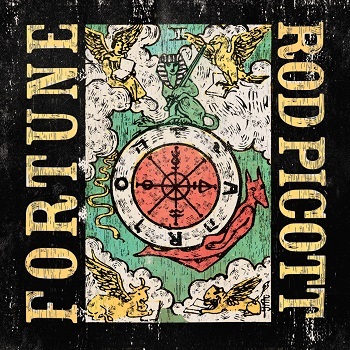 There are no half measures with Rod Picott; his songs are intense and he gives full value when he delivers them live, veins bulging and sinews straining as he wrings the maximum emotion out of each song. It’s sometimes hard to reconcile the laid-back raconteur and impassioned troubadour, but he makes the contrast work for him, gradually building a rapport with a fairly reserved Green Note audience. There’s a selection of material from right across Rod’s career and the highlights include the rocking “65 Falcon”, “410”, “Welding Burns” and “Mobile Home” (which includes a Bowie reference in the lyrics). 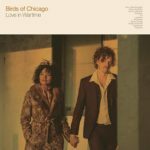 From the new album, the menacing “Uncle John” stands out alongside “Until I’m Satisfied”, which prompts a confession that the chord progression it’s based on is the same as the Eddie Cooley and Otis Blackwell classic, “Fever”. Each song is a perfect little story of blue collar delivered with power and passion; you can’t really ask for more than that.